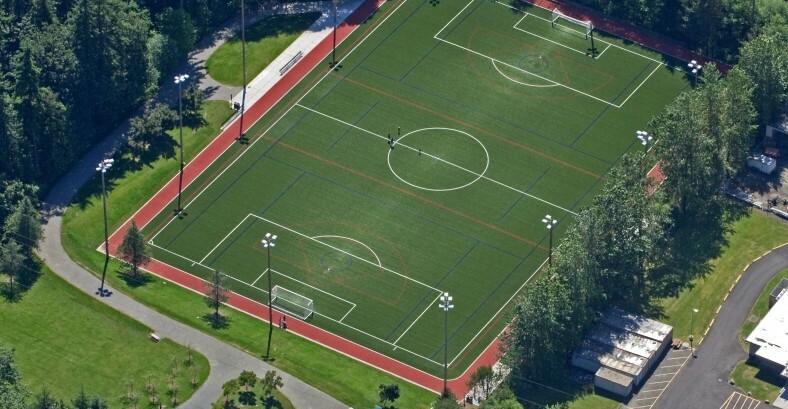 The City of Bellevue retained Bruce Dees & Associates to convert an existing sand soccer field at Wilburton Hills Community Park into a synthetic turf field for soccer and lacrosse. Several innovative green design techniques and cost saving measures were employed as a part of the overall design. Prior to beginning design, the site and its usage were carefully evaluated. Unsafe access to the field was corrected with a gradual, ADA compliant walk and new stairs to improve safety and aesthetics. 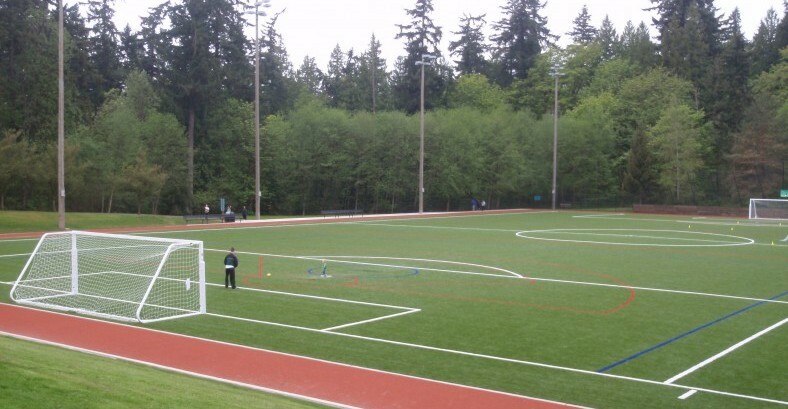 A soccer screen that would prevent errant balls from leaving the field was designed as an architectural feature. 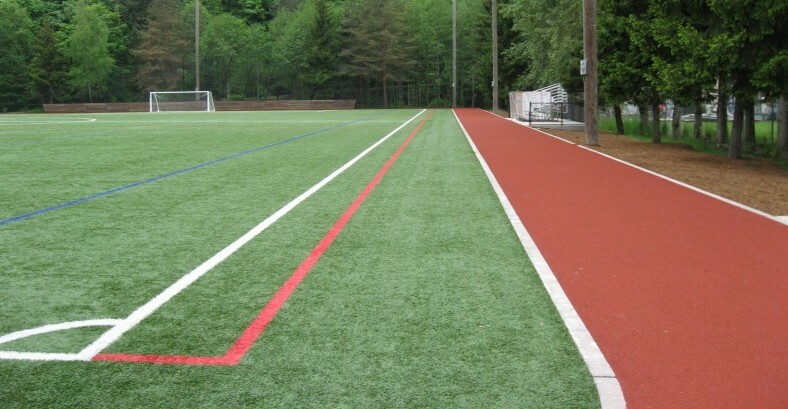 Though not a part of the original program, a perimeter walking/jogging track was introduced as an additional amenity for the site and community as a whole.